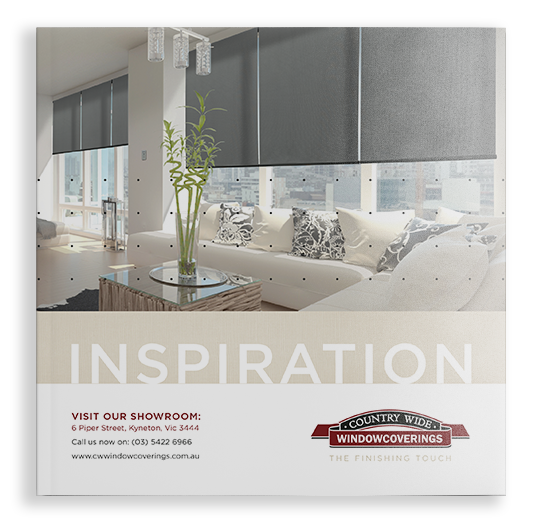 Complete range - offering an extensive range of quality windowcovering options for inside and outside situations, including curtains, pelmets, blinds, awnings, plantation shutters, all our premium products are custom made to suit your application. Spanning a wide variety of styles and colours, there’s options incorporating the latest in textile designs and technology. Centrally located, local business - proud to be supporting and supported by the local communities of the Macedon Ranges including Castlemaine, Bendigo, Gisborne, Daylesford, Lancefield, Woodend, Romsey, Trentham, Newham.